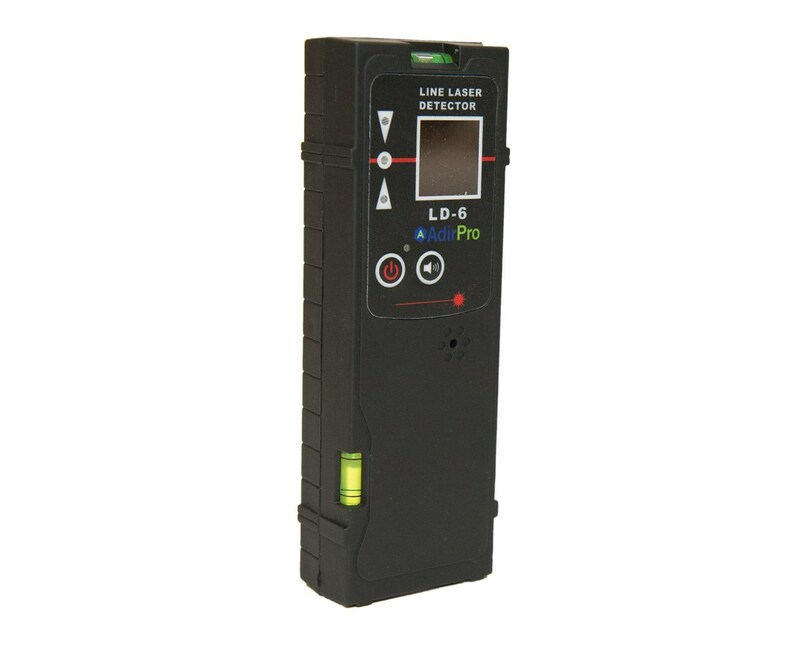 AdirPro’s LD-6 laser detector is compatible with red line lasers in all lighting conditions. Great for indoor and outdoor applications, this laser receiver works within a range of up to 50 feet and 82 feet with a reflective target. The AdirPro LD-6 detector is rugged with its hard plastic housing. It has a dual single display and 2 built-in bubble vials for convenience, one horizontal/level and one vertical/plumb. The audible indicator can be easily adjusted to your preference. In addition to the on/off button, there is an automatic shut-off feature that will power down the device after about ten minutes being idle (so as to extend your batteries’ lifetime). With 1 new 9V battery you can get approximately 40 working hours. The interface is user-friendly and smart in its simple design. The readouts are clear and accurate. 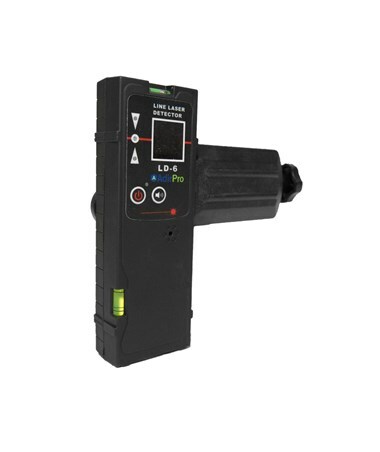 The LD-6 laser detector comes with a compatible rod mounting bracket and a carrying strap. The threading of both the screw on the bracket and the nut in the unit have ¼” threading. (1) 9V batteries included. 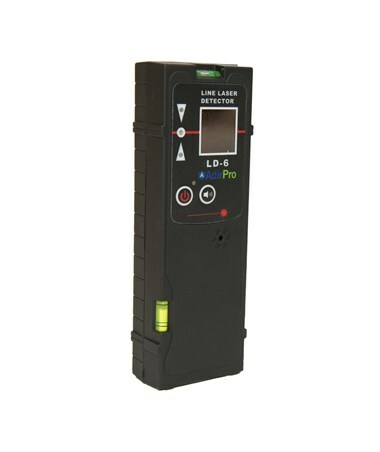 The 765-11 LD-6 Laser Detector is backed by a 90-day manufacturer's warranty.